If you have decided to sell your house in Long Island, the process might seem a bit cumbersome. However, it doesn’t have to be! In our latest post, we explore some of the top tools and strategies for home sellers in NY. People love being able to get a feel for the home before viewing it in person. There are many apps and software programs that can help you create a virtual tour of your property on your own. You can also choose to hire professional videographers to showcase your property, making it stand out from the rest. Some companies are even incorporating the use of drone technology to create “fly-thru” of properties that look sharp and sophisticated. Even if you are simply using photos to show the property in online listings, make sure the photos are of the highest quality. This is one place where working with a professional can really pay off! A selling solution more and more people are utilizing is to work with buyers directly, without having to pay the fees and commissions of an agent. 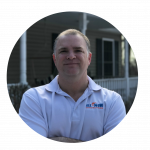 There are knowledgeable and trustworthy companies such as Sell Now Homebuyers that will make selling a Long Island fast, profitable and simple. Working with a direct buyer will typically mean you will receive a much faster closing, without any of the costs of a traditional listing. No repairs, marketing costs, listing fees, commissions or closing costs! 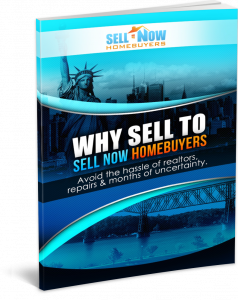 You will typically be able to sell the house in only a few days, not weeks or months as with a traditional sale. Not all buyers are the same, so make sure you do your homework before selling your house to a direct buyer in Long Island or the nearby areas. We Buy Houses in Long Island FOR CASH. We specialize in working closely with homeowners to get rid of burdensome houses fast. No realtors and no repairs necessary! When you say, “I need to sell my Long Island house,” call us. No commissions – No closing costs – any situation. Call us: (914) 559-2579.